Finding a missing person can be a difficult task but if you know where to look and have sufficient information about them to embark upon a search, you have a great chance of achieving a positive result! In many cases it is possible to find a missing person for free, however it may be necessary to use the services of a professional if your search fails to relocate them by using the free search options that are available. Whichever route you choose, preparation is key- and there is no time like the present! SO LET’S GET STARTED ON YOUR CHECK LIST! What is the person’s full name, including any middle names or initials? Do they have a title such as John James 3rd, or a nickname or alias they are known by? Are they separated or divorced or might they have re-married? If so make a note of a maiden name or previous family name. It will also be useful to note the names of any step brothers or sisters that exist from a previous relationship. 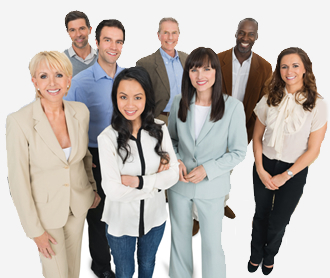 If the person you are looking for has a common name, for example John Smith, but has a sibling or a parent with a more unusual name you can always include them in your search and enlist their help. You may not have all this information to hand so try and fill in the gaps by talking to another family member, friend or neighbor . If not Ancestry.com or Family Link.com may be able to help. Do you know the missing person’s date of birth? This is quite important as most of the search sites will deliver more accurate information if you have a detailed profile in order to verify the identity of the person you are searching for. Once again one of the geneology sites may be able to help. Do you know of any last known address (up to 10 years previous) for the person or identities on your list? Even just the town, city or state will be really useful for the purpose of cross referencing on the databases or search engines. Do you recall if they have ever taken temporary or short term rented accommodation, shelter with a friend, relative or a refuge for the homeless? 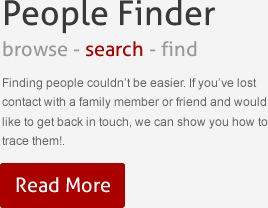 Have you checked with other family members or friends if they have any recent contact details for the missing person? Do you have the last known home, work or cell phone number for the person you are looking for? Have you checked the telephone directory or a reverse lookup service for any recent listing or have you tried a Google search? What other numbers do you have for family and friends of the person? Why not call them and ask if they can help. Where did your missing person last work or do you know of any place of employment during the recent past? Can you recall the names of any of their work colleagues that they may still be in contact with? Could they be or have they ever served in the Military? If so, search on Military.com and check out the records for current or ex military personnel. Is it possible that they are serving a prison sentence? Some states-but not all- have this information on public record or you can check on Vinelink.com. So by now you’ve confirmed the full name, identified previous addresses and obtained date of birth. You may also have some previous address and employment information relating to the missing person. Using this information you should now search using the tools below. If you have exhausted the listed services and search facilities already suggested but have not been successful in finding your missing person – don’t despair or be tempted to give up! The time and effort you have put into preparing your check list and the information you have gathered has not been wasted –but you now need to consider engaging the service of a professional skip tracing agent who will be able to take the search to the next level.